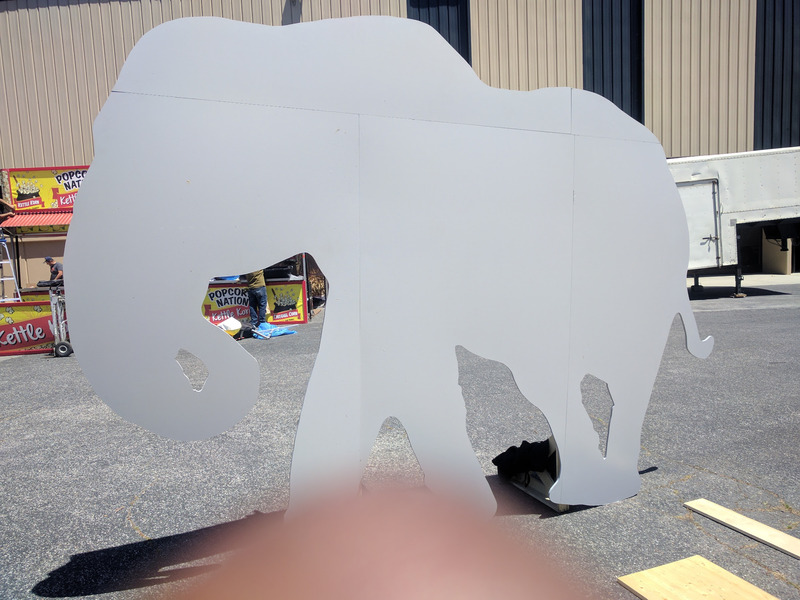 African elephants need a lot of water every day for drinking and mud baths . During the dry season, their keen sense of smell allows them to detect water underground in dry riverbeds, where they dig holes with their tusks to reach it. Once the elephants have had their fill, other animals move in to drink. These water holes sustain the other animals in the Savannah in times of drought. Ndovu is elephant in Kisawahili. The vision behind Project Ndovu is to create food systems that can be deployed anywhere. 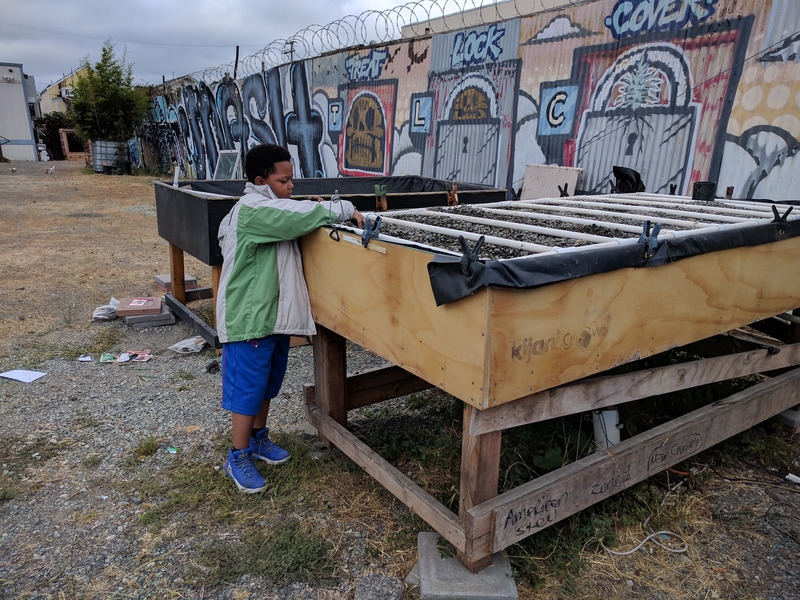 An objective of the smart urban farm in West Oakland is to prototype a farming system that can start feeding at least one hundred people in three weeks. Ndovu was chosen as the name for this project due to it’s social nature, scale, intelligence, the waterholes we create and because we had one. Soils that are contaminated with lead are dangerous to kids as they touch it with their hands while playing. When indigested lead is retained in the brain as a heavy metal. In Project Fishbone, lead contamination in soil was mitigated by mixing it with Alaska pollack fish bones which are rich in phosphate. The lead in the soil reacts with the ground fish bones to create lead phosphate which passes through the digestive system safely. 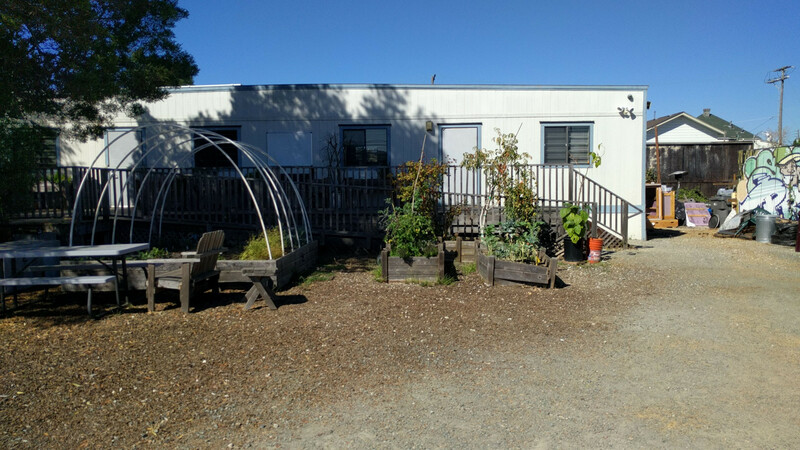 The EPA staged Fishbone Project at 349 Mandela Prkwy and when it was decommissioned West Oakland Environmental Indicators Project WOIEP moved into the solar powered location. This is the site of Project Ndovu a smart urban farm. 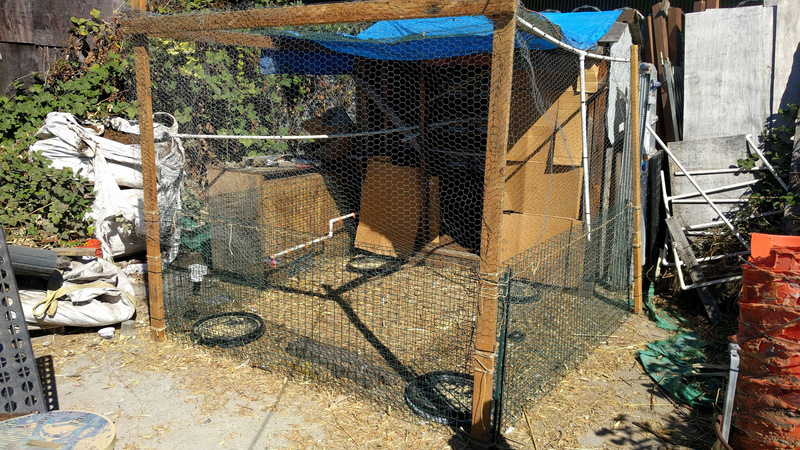 Current projects include a 5000 gallon fish tank for aquaculture and smart aquaponics farming. It is nice and fertile from direct sunlight exposure, neglect and not being used, The tank has 21 golden fish I have raised for a while, one gambezi , Californian hitches and Californian roaches. 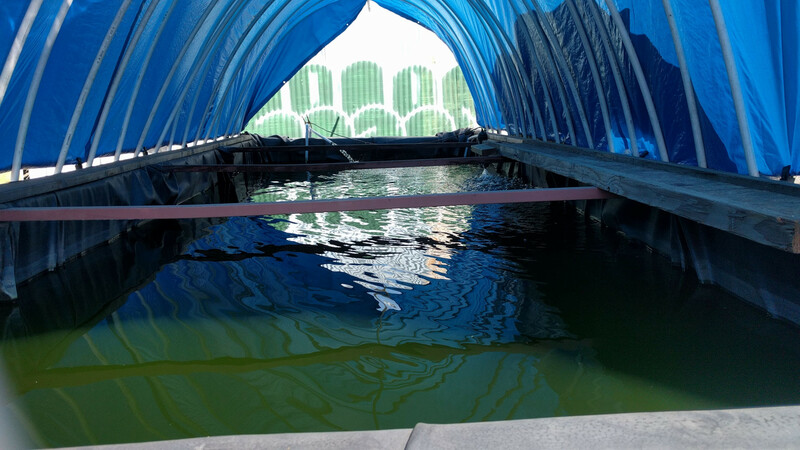 The water is currently filtered by the aquaponics grow bed shown which acts as a mechanical and biological filter. Even though it is not really being used, we still monitor the water quality. It has various sensors monitoring pH, EC, O2, ORP etc. in the sump tank shown below. 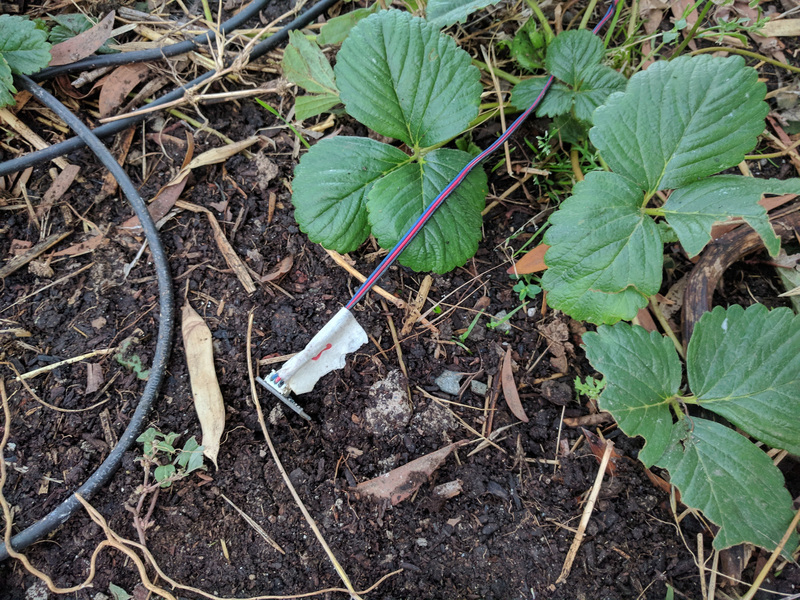 The sump pump is a critical connection point for the grow beds and the fish tank – it is useful to monitor it frequently. 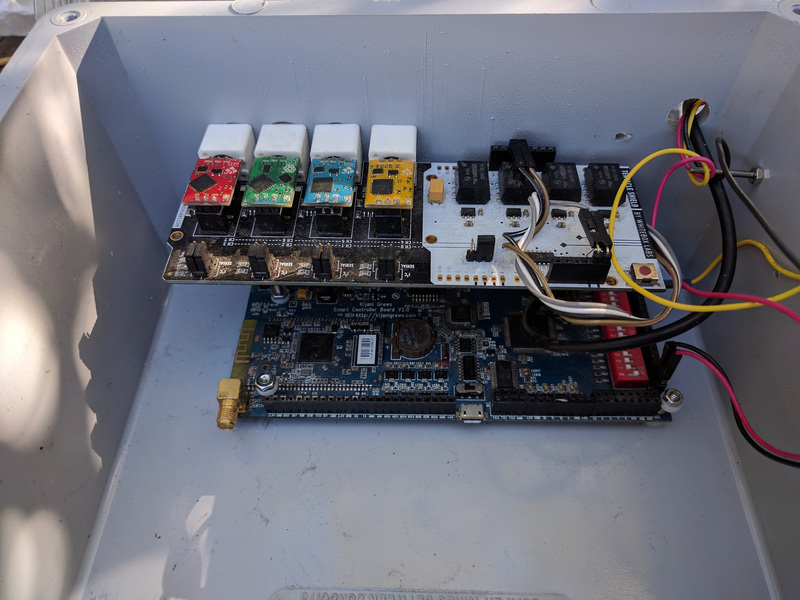 The box has the electronics for monitoring the water quality. This is based on a v2 controller, the atlas scientific water quality kit and a tentacle shield. 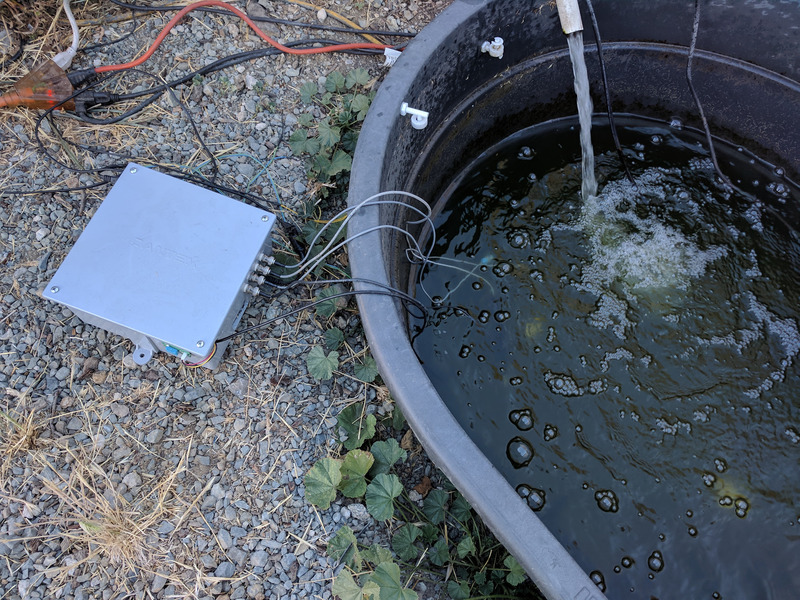 Here are some data links with water quality (refresh if it does not load), trends for the water quality, as well as some video streams. 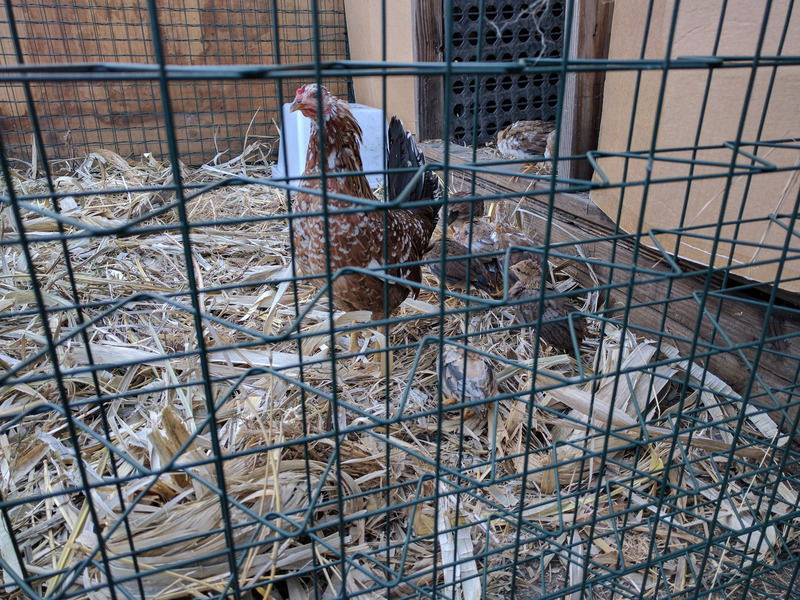 because our rescued chicken Big Mama and her family were growing too quickly. 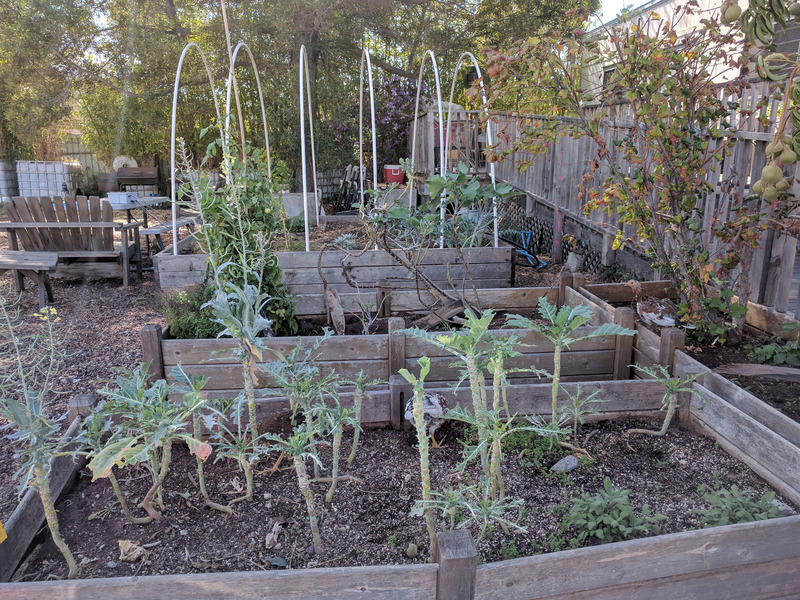 not too sure if this is recycling or upcycling – but everything was sourced from our yard, the chickens seem to like the colors and being a part of fishbone. 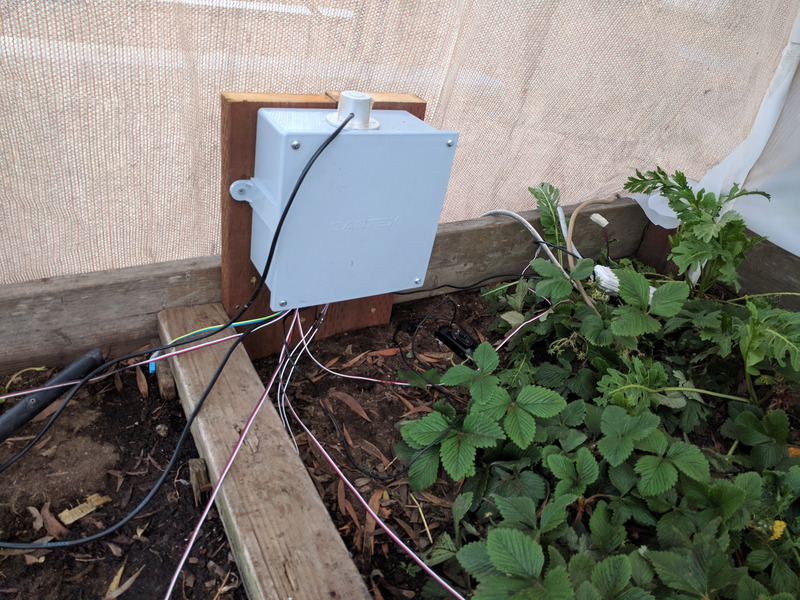 This is also monitored using a smart controller and will soon include an RFID based access system and other features to allow us to safely continue free ranging our chicken even when there is no one in the garden site. 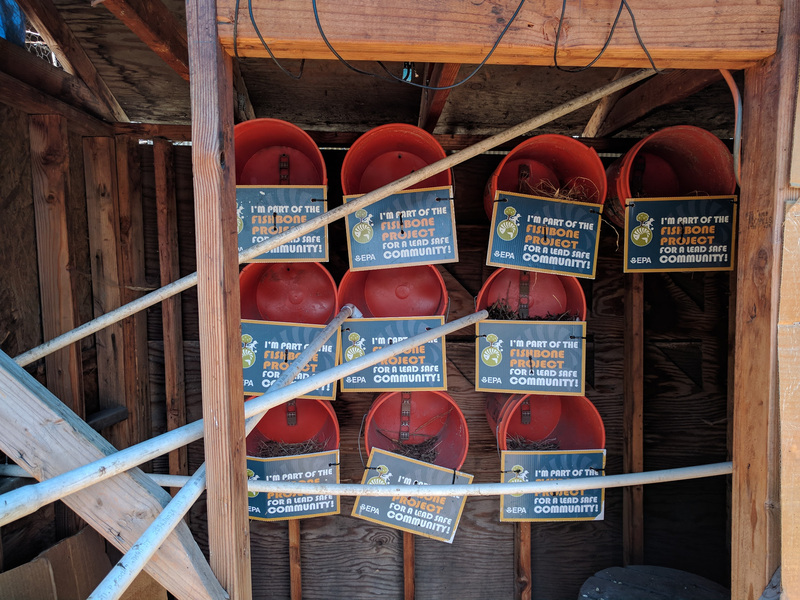 Here is some data from the coop . Click on the the device sensors tab to see instant values (refresh if it does not load). Here is a video stream. 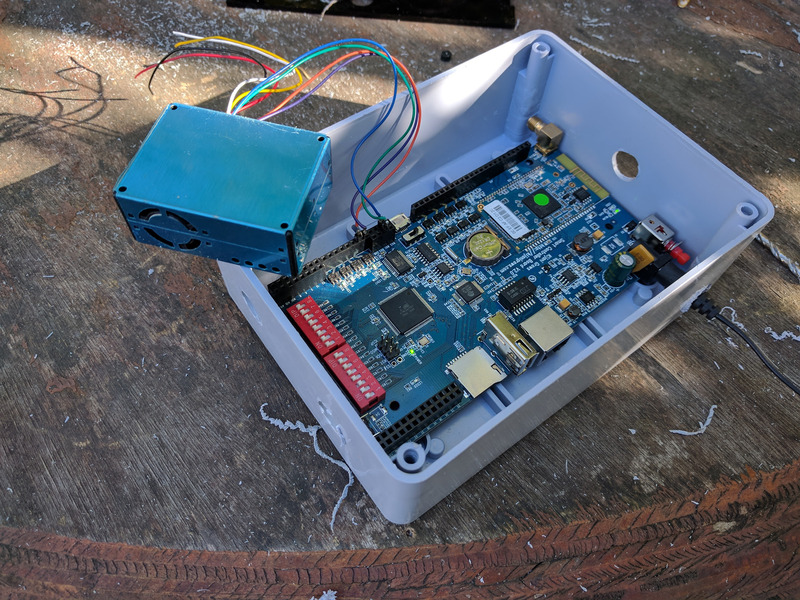 The coop is physically a little ways from the WIFI router in the compound, hopefully you find it with a good connection for this live data demo. 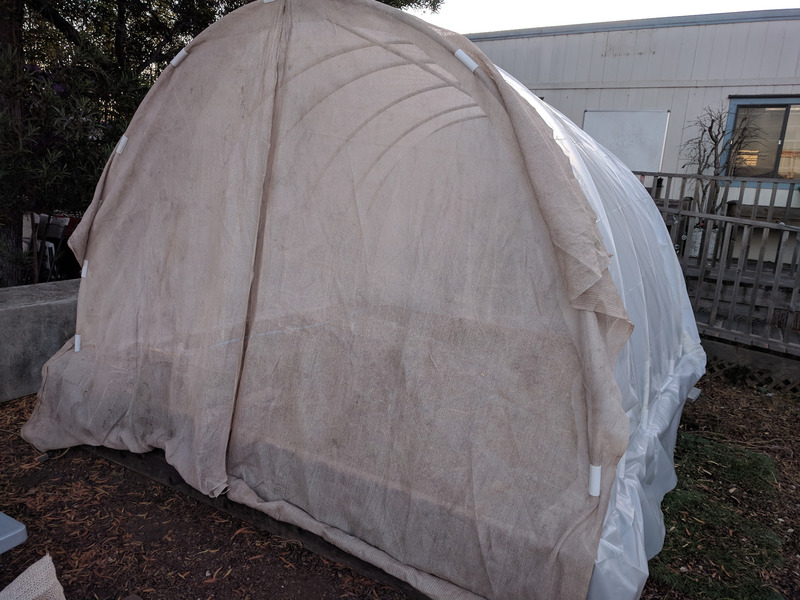 That we now have to protect from the chickens using hoop houses. Here are trends for the hoop house environmental data and icons for the hoop house sensors (refresh page if icons don’t load). 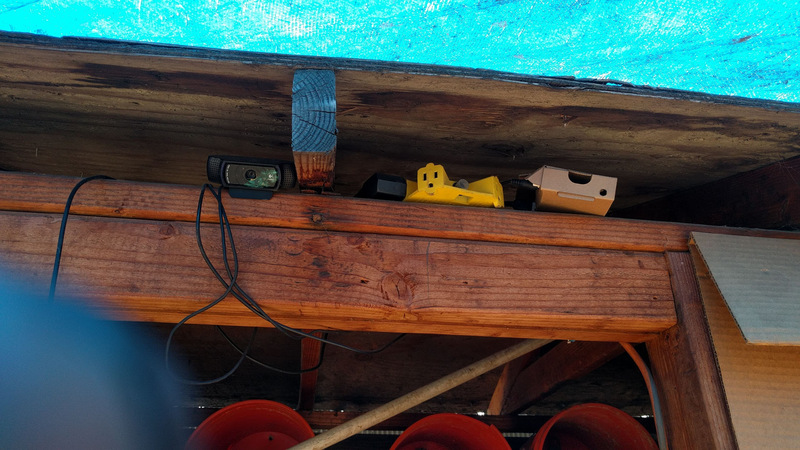 This is the video stream used for time-lapse photography for the hoop house garden. 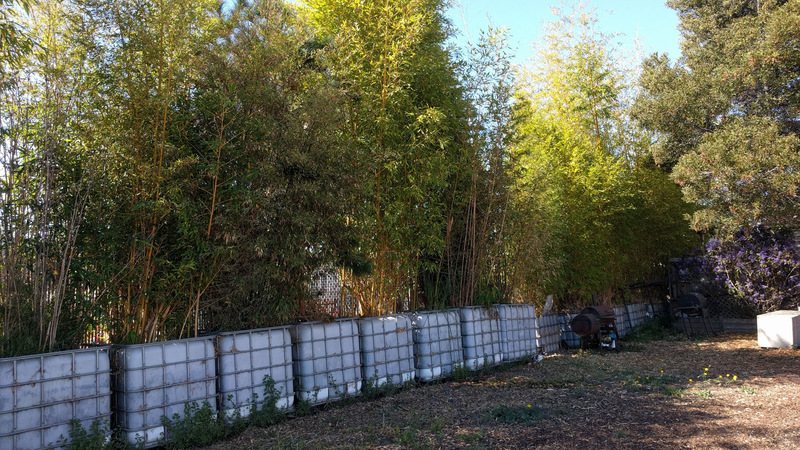 We also have a bamboo hedgerow fence grown in tote containers that uses drip irrigation and gray water. Here are typical live data points from our site for particulates of 0.3 microns, 0.5, 1.0, 2.5, 5 and 10μm. As you can see we are still struggling with calibration.